My grandparents, on both sides of my family, were farmers. Their lives were governed by the seasons, the weather, the markets and the lives of animals under their care. Only a few of their grandchildren and great-grandchildren remained on the land. We have moved into a new era of food distribution that removes us from the source. 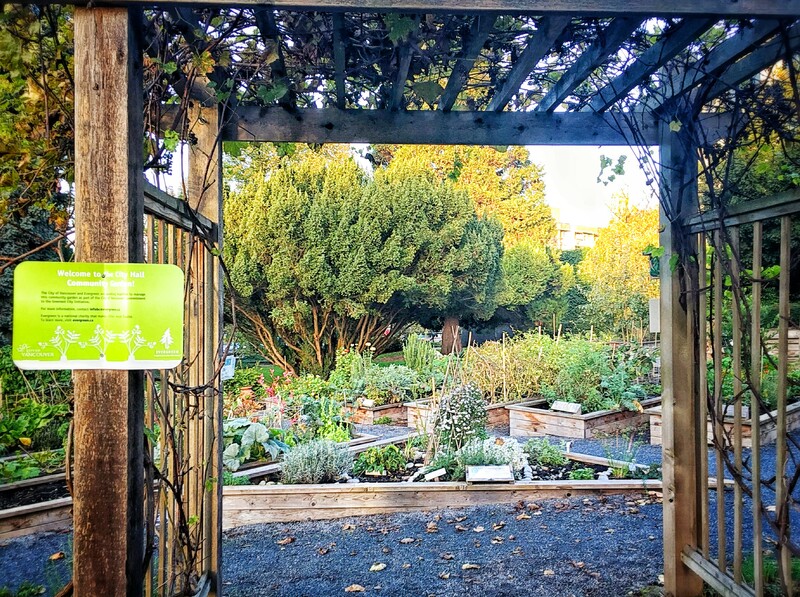 And yet, there is a wistfulness every time I pass by a community garden. I remember the spring planting, the summer growth, the fall harvesting and the spirit of a farming community. We are all farmers at heart, as reflected in the rise of urban gardening, and our search to reconnect to the soil that sustains our lives. With every plot of land allocated to farming we reaffirm our need to return to the land. We are all farmers at heart! May 2018 bring out more of the farmer in more of us! I agree wholeheartedly! We forget how connected we are to the soil and to the earth. I love Wendell Berry’s thought: “Eating is an agricultural act.” Thanks for stopping by – very much appreciated. Yes, we are farmers at heart! HUGS!! Thank you for your comments – a great way to begin 2018!! Many hugs coming back your way. Yes, I always say my garden grows in spite of me. I feel privileged to have been born and reared in a farming setting. I believe most of us like to plant seeds, watch them grow and harvest the produce. I think those of us who live in the city even like to arrange our favorite flowering plants on our porches, decks or balconies. There is something important that radiates from living and growing things. I agree that the digging in the dirt has restorative powers. In fact, I read a recent article that indicated that there are soil microbes that are natural mood enhancers. Another proof that we belong to this earth. Canada has just come out with a new food guide which has causes a great deal of discussion. https://www.theglobeandmail.com/opinion/new-food-guide-will-finally-put-consumers-first/article35751092/?service=amp. I enjoy blogging and am looking for ways to engage and integrate posts within my daily life. You continue to inspire me by your dedication to posting on a regular basis. Above all, I enjoy the conversations that come from the exchange of ideas. Many thanks for connecting. Indeed we are, Rebecca! We have a strong feeling of being farmers at heart. Lovely to see you blogging again. We enjoyed this post and your illustrations very much. Have a great rest Sunday. It’s evening in Cley and we are gong to have our supper now. We went to Morston, only a few minutes away by car (we showed you Morston quay) and harvested Samphire in the salt marshes. Klausbernd has spent some good 2 hours cleaning all the aspargus of the sea and we eat them with baby potatoes and some butter. And a salad. Delicious. So plain, so good. Thank you for your heartwarming comments, Hanne. I can imagine being with you on your adventures to Morston. I treasure our time together and will be posting photos of our visit in the coming months. I enjoy the blogging experience and have learned that we are indeed a global community that shares a profound understanding of the world in which we live. I love reading your blog, which I find refreshes the spirit and brings elegance and graciousness to my day. Hugs coming back from the three of us to the Fabulour Four of Cley. You are simply the best, Hanne! Much love and hugs coming your way.